Humour has been discovered in every known human culture and thinkers have discussed it for over two thousand years. Humour can serve many functions; it can be used to relieve stress, to promote goodwill among strangers, to dissipate tension within a fractious group, to display intelligence, and some have even claimed that it improves health and fights sickness. 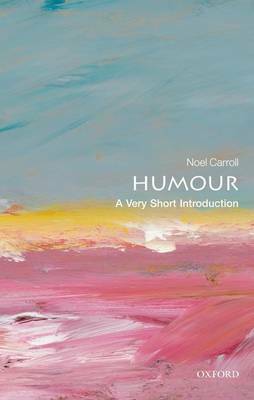 In this Very Short Introduction Noel Carroll examines the leading theories of humour including The Superiority Theory and The Incongruity Theory. He considers the relation of humour to emotion and cognition, and explores the value of humour, specifically in its social functions. He argues that humour, and the comic amusement that follows it, has a crucial role to play in the construction of communities, but he also demonstrates that the social aspect of humour raises questions such as 'When is humour immoral?' and 'Is laughing at immoral humour itself immoral?'. ABOUT THE SERIES: The Very Short Introductions series from Oxford University Press contains hundreds of titles in almost every subject area. These pocket-sized books are the perfect way to get ahead in a new subject quickly. Our expert authors combine facts, analysis, perspective, new ideas, and enthusiasm to make interesting and challenging topics highly readable.